Note Taking Strategies with Storytelling System – Why we take notes? We want to remember what we have taught or what we want to remember, right? How our brain works for remembering things? What’s the best way to remember stuff? A story. We will take a look at effective note taking methods and tips to use storytelling system to make our learning far better. Research shows us that overcoming information overload begins with organization. Whether you are a student or an adult who wants to learn new things, this starts with having a system for organizing notes. How we organize notes can have an enormous impact on how well we can recall it later. There is some famous note taking methods like The Cornell Methods which we will take a closer look at in later sections, let us focus on the basic ideas of note taking first. An organization is a key with notes, and the more organized you are, the better the chances you’ll actually remember that information. The basic idea of notes is to keep them short, but have enough triggers on the keywords to jumpstart your memory when you look at them again. Technically, note taking strategies can be categorized two ways: generative and nongenerative. Generative note taking pertains to “summarizing, paraphrasing, concept mapping,” while nongenerative note-taking involves copying something verbatim. We want to master the generative note taking. The second, called the external storage hypothesis, is that you learn by being able to look back at your notes, or even the notes of other people. Note taking by hand force you to be more selective what you write down on your notebook which makes you learn better by focusing. You can’t write as fast as you can type on your laptop or iPhone, that extra processing of the material benefits you. Psychological researchers set out to find out whether students using laptops to type notes were able to summarize and transcribe effectively to absorb and process new information – or whether they just type as fast as they can. In one experiment, Pam Mueller of Princeton University and Daniel Oppenheimer of UCLA studied college students in classrooms where some used laptops and others traditional notebooks. The results of the three studies suggest that taking notes with a pen instead of a laptop lead to higher quality learning in the first place and that writing is a better strategy for storing and internalizing ideas in the long-term, leading to better performance in exams. As we have seen, we tend to write everything we’re hearing with digital note taking systems because we can type faster which can be described “mindless transcription”. With so much data which our brain cannot keep up with, hence the poor processing should lead us to have a poor understanding of the subject. However, of course, there is an advantage in using digital note taking. Like EVERNOTE, you can quickly find what you’re looking for from what you have written. You just want to make sure you always tag your notes with relevant information like the class, meeting, project, or chapter. There are many systems for different note-taking purposes, what we have to keep in mind is to make sure you find the best system for you on different projects. Depending on the circumstance and the type of person who you are, you’ll have a better luck with certain methods. So, it’s best to try some of the note taking strategies and methods to feel what works for you. Out of many, we will take a look at popular three methods here. Remember your note is only for you to review, recall what is important, and retain it. Write out your notes in your own words which you can quickly understand (not verbatim from a teacher or a book). One exception to this is when you hear a good turn of phrase that helps you remember the note, or if you’re writing out a direct quote. Adjust the note-taking style to fit your needs, stick to keywords, and very short sentences. With origins dating back to the 1500s, the outline is one of the oldest note taking strategies, a classic paper and pencil style of linear note-taking in which you take capture information alongside Roman or Arabic numerals. With a linear outline, you can also use bullet points or other characters and symbols. It helps you capture key points, catalog and remember what the subtopics have to do with the bigger concepts. Place major points farthest to the left. Indent each more specific point to the right. Levels of importance will be indicated by distance away from the major point. Indention can be as simple as or as complex as labeling the indentions with Roman numerals or decimals. Advantages: Well-organized system if done right. Outlining records content as well as relationships. It also reduces editing and is easy to review by turning main points into questions. Disadvantages: This system cannot be used if the lecture is too fast since it requires more thought in class for an accurate organization (when you take notes from a book, it won’t be a problem). This system may not show relationships by sequence when needed. Originally invented in the 1950s by Walter Pauk, who was an education professor at Cornell University; it’s considered by many to be one of the most effective note taking strategies. The Cornell Method is based on two columns: one containing the keyword or concept on the left side, and the other containing the description or notes associated with the keyword or concept on the right side. It provides a systematic format for condensing and organizing notes without laborious recopying. Advantages: Organized and systematic for recording and reviewing notes. Easy format for pulling out major concept and ideas. Simple and efficient. Saves time and effort. There is not much disadvantage to this system that is why the Cornel Method remains very popular today. This method can be used while listening to the lecturer. In the right-hand column, you can list the main ideas or write a paragraph and then on the left-hand side note the keyword or concept that relates to your section of notes. At the bottom of the page, you should write paragraphs summarizing the information contained in the notes. 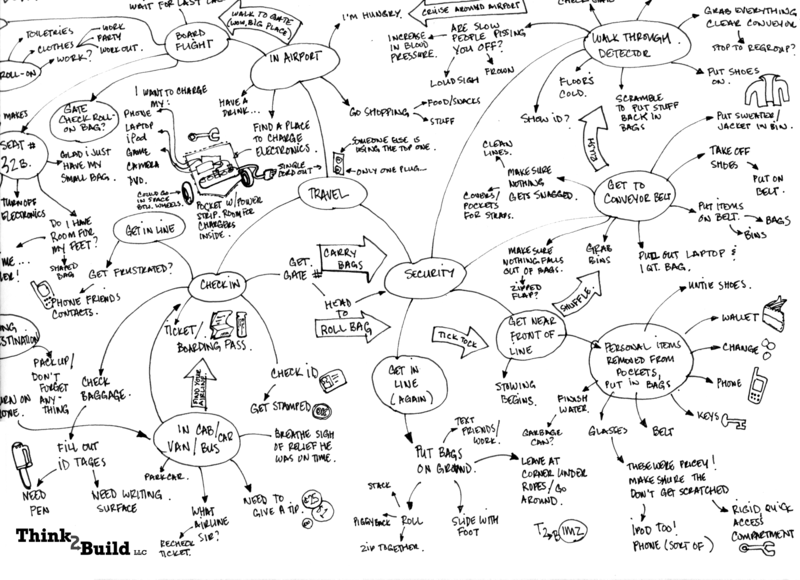 A mind mapping is one of the great note taking strategies for taking notes during meetings. It is a diagram in which ideas, concepts, and images are linked together around a central concept, keyword or idea in a visual environment. It is a method that maximizes active participation, affords immediate knowledge as to its understanding, and emphasizes critical thinking. Advantages:This format helps you to visually track your meeting or lecture regardless of conditions. Little thinking is needed and relationships can easily be seen. It is also easy to edit your notes by adding numbers, marks, and color coding. A review will call for you to restructure thought processes which will force you to check understanding. Review by covering lines for memory drill and relationships. Main points can be written on flash or note cards and pieced together into a table or larger structure at a later date. In this method, sketching and doodling are encouraged because these types of drawings are relevant to the notes. No matter which method you choose to take notes, there will be times when you cannot keep pace with the class (if you attend any) or get tired of writing the same long words over and over. So, it is important that you develop your own language of symbols which organize information quickly. It can include using something like an asterisk to denote an important task or a question mark to denote an item you want to research later. The idea is to make your notes easy to scan through to find the parts you need to pay more attention to. Aside from adding symbols, you can also add highlights, underlines for clarity. What is important here is try them out and see what works the best for you. If you can, avoid writing out entire sentences. The point of note taking is to clue yourself into things your professor or book indicates may be important, and to help create personal study guides. Use w/ (with) and % (for percentages) for example. Now we assume you have chosen the method which works the best for you, let’s get into the most fun part – tell a story out of it! You can combine storytelling system with the note taking method you choose, it’ll be so powerful a tool to retain your memory. The benefit of using a storytelling system with note taking strategies is it takes the large volume of information you just received and organizes it within a coherent framework. As you try to organize the information in your note, it makes it much easier to retain the information and it becomes more clarified to you. Having this narrative framework reduces review to a simple task when you need it. By contrast, if you approach studying with just a large pile of notes — even if they are taken care in the question/evidence/conclusion format — you might have some long nights ahead of you to remember them all. Our brains remember things best in a story form. After each note taking, tell a story about the material covered—a five minute or even a minute summary of the concepts what you take as the core of the lecture or the material. Imagine yourself as a screenwriter who would pitch their script to movie producers. What information you would say and what you would cut to convey the whole idea? Cover the big picture flow of ideas, not the small details. Answer the question “why was this lecture important?”, not all the information it contained. Test yourself if you grabbed the whole idea of the lecture, a book or a chapter what is the main thing told or written? Then tell. You can use this storytelling system to remember things in any circumstances. Even if you can’t sum up well when you begin this narrative system, you can start with below. Read It Aloud: Read what you have written which reinforce your memory. Read it aloud is the key here since it enhances your memory even firmer than just read visually. Retell: Tell what you just read to your friends or partner. You would watch closely to your partner’s reaction and your storyline where is effective and where is not. This is truly valuable. You repeat this practice over and over, your memory and storytelling skill will improve dramatically. Not sure yet which one works the best for you? Now let us share you a great collection of note-taking templates you can download for free! Note Taking Methods for Effective Learning: 40 Best Templates by By Jack Milgram, which is an awesome collection of various note taking techniques with clear guidelines and examples. You can try them out right away and find your own one to boost your learning! Choose the best one out of the note taking strategies with the storytelling system in mind, it will not be just effective for your learning, but you’ll have much more fun!